The red-hot Ryan Hamilton is back from his latest tour of the UK and ready to share his "sunshine rock" and bad-luck ballads with back with fans of The Outlaw Roadshow. Ryan played for us in Austin and now audiences in New York will find out what they've been clamoring for in England. We have Ryan and his band kick everything off Friday night 10/16 at the Bowery Electric. Growing up in the heart of a music loving state like Texas, it would have been hard for acoustic singer songwriter Ryan Hamilton to avoid being exposed and eventually fall in love with music. Even as young as eight years old, whilst traveling in his Dad’s truck listening to John Cougar Mellencamp, the music bug had already bitten. Once he discovered The Eagles, with their unbelievable musicianship and vocal harmonies, the young Hamilton realized that music was a journey he wanted to take. There are so many remarkable things going on in these little pop songs. 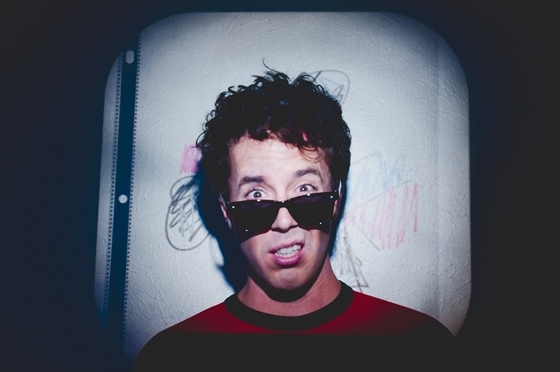 What is most inspiring about Ryan Hamilton's music, really though - is the intangible. It's this ability he has to convert a room of strangers into both fans and as friends, I've seen it happen, " said Ryan Spaulding. "The Outlaw Roadshow is the perfect place for someone like Ryan. He's steeped in his passion for music and so are our crowds." Hamilton is also the vocalist, guitar player and keyboardist for the bands People On Vacation and Smile Smile, but what you're going to see in New York is something completely different. This lineup and band are all his own. On his solo debut, Hell Of A Day (an RSL best of 2015 album selection), Hamilton steps out from his past and really prevails for it. "We tracked everything old school and live. No auto tune, or copying and pasting," says Hamilton. "Real sounds and live performances. I can't wait for people to hear these new songs!" Just listen to this most unlikely cover from the record, an REO Speedwagon cover Hamilton owns. Yessir. See you at The Outlaw Roadshow New York!